Microsoft Word - CIS 4372 HCI and Data Viz. Is consistent 4 The interface in Microsoft Word is very consistent throughout the many ribbons and menus that the user may encounter. It is also very consistent with rest of the Microsoft Office Suite. 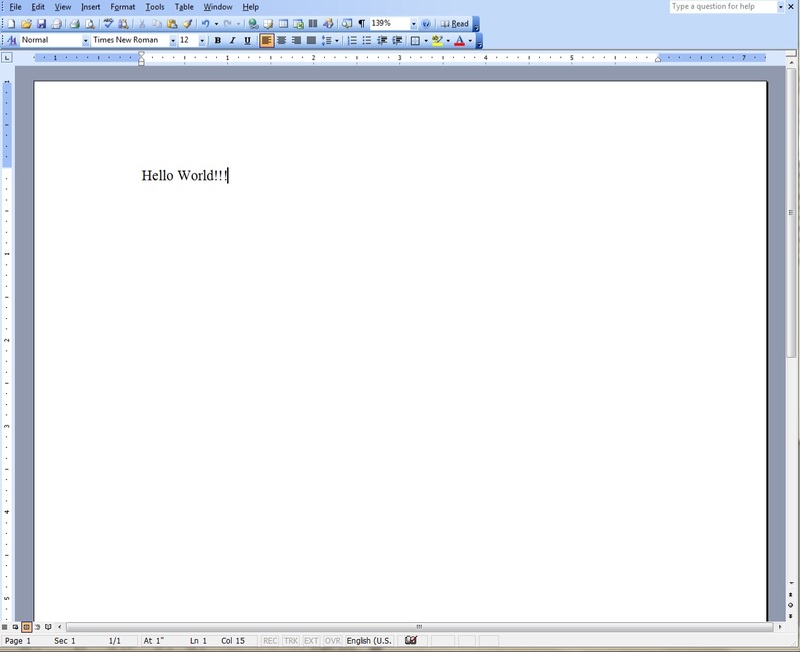 Caters to universal usability 4 The newest version of Word greatly altered the look and feel of the interface making it more user friendly for new users but a little harder for previous users. The menu bar was completely changed which forced the users that were comfortable with the old interface to relearn the location of all the tools. Although the basic functions of the application can still be easily used by any user, I believe that if the option to use the classic menu bar was included in the new suite, the application would have met this requirement much better. Offers informative feedback 4 Microsoft Word doesn’t offer too many notifications other than errors that are detected within the text. 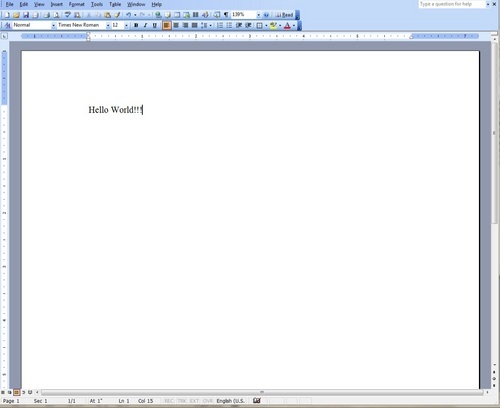 This feature is a great addition to this word processor. It does a pretty good job of detecting errors, notifying the user, and even offering suggestions to fix the problem. Provides dialogs that yield closure 5 Notification of closure is one of the strong points in this application. When the application is closed and work has not been saved, a message prompts the user to save the changes if desired. Prevents errors 4 Most errors that arise in Word are caused by invalid file types, but other errors have occurred. The application does a pretty good job at notifying the user if changing a setting can cause problems in the future but does allow them to change the settings if necessary. Offers support for internal locus of control 2 Because of the vast amount of settings and options, the user has nearly full control of the application. However, there are no options to change the style of the toolbars or ribbons. The user can add and delete toolbars but not change the look of them or revert to previous versions. Reduces short-term memory load 4 I think the interface is pretty self-explanatory so the user doesn’t have to retain a lot of information to use the interface's basic functions. However, there are many advanced features that require the user to remember the location of these functions and possibly also the settings within that feature if it is to be utilized.